Special: Buy 3 Siberian Pine Nut Oil enriched with Sea Buckthorn berry and get 1 FREE! PROMOTION: Buy 3 0.5lb Bags of Pine Nuts - Get 1 FREE! 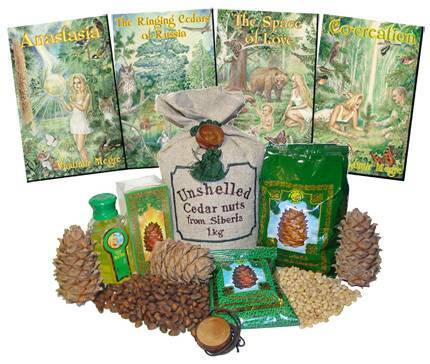 Special: Buy 3 "Pine Power" Cedar Nut Flakes and get one FREE! INGREDIENTS: 100% natural Cold-pressed Extra Virgin Siberian Pine Nut Oil, 100% natural Sea Buckthorn Oil. Siberian Taiga is one of the ecologically purest areas of the world. The virgin forest of the taiga has never been treated with any chemicals or artificial fertilisation, nor abused by agricultural machines, all flora in the Taiga has been preserved in the original condition by nature. One of the most wonderful and beneficial gifts of Siberian Taiga is Seabuckthorn Oil. Wild harvested, 100% natural Sea Buckthorn berry is gathered carefully, by people lovingly devoted to this task. Another great gift from the Siberian Taiga is Siberian Pine nut oil. Wild harvested Pine nuts, cold pressed, first press only, this is all original, 100% natural Siberian Pine nut oil. Using multistage cold extraction method originally developed in Russia, we preserve all nutritional value and bring you free of artificial ingredients, unique, 100% natural Siberian Sea Buckthorn Oil extract under Ringing Cedars of Russia brand name. INCREDIBLE BENEFITS OF Pine NUT OIL PLUS THE EFFECT OF SEABUCKTHORN OIL! The Sea buckthorns (Hippophae L.) are deciduous shrubs in the genus Hippophae, family Elaeagnaceae. 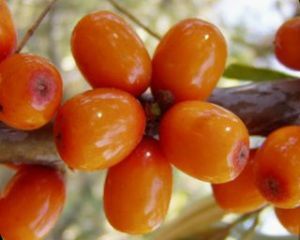 It is also referred to as "sea buckthorn", seabuckthorn, sandthorn or seaberry. There are 6 species and 12 subspecies native over a wide area of Europe and Asia, including China, Mongolia, India, Nepal, Pakistan, Russia, Great Britain, France, Denmark, Netherlands, Germany, Poland, Finland, Sweden and Norway. More than 90 percent or about 1.5 million hectares of the world's sea buckthorn resources can be found in China where the plant is exploited for soil and water conservation purposes. The shrubs reach 0.5–6 m tall, rarely up to 10 m in central Asia, and typically occur in dry, sandy areas. They are tolerant of salt in the air and soil, but demand full sunlight for good growth and do not tolerate shady conditions near larger trees. The common Sea buckthorn (Hippophae rhamnoides) is by far the most widespread, with a range extending from the Atlantic coasts of Europe right across to northwestern China. In western Europe, it is largely confined to sea coasts where salt spray off the sea prevents other larger plants from out-competing it, but in central Asia it is more widespread in dry semi-desert sites where other plants cannot survive the dry conditions; in central Europe and Asia it also occurs as a subalpine shrub above tree line in mountains, and other sunny areas such as river banks. Common Sea buckthorn has branches that are dense and stiff, and very thorny. The leaves are a distinct pale silvery-green, lanceolate, 3–8 cm long and less than 7 mm broad. It is dioecious, with separate male and female plants. The male produces brownish flowers which produce wind-distributed pollen. The female plants produce orange berries 6–9 mm in diameter, soft, juicy and rich in oils. The berries are an important winter food resource for some birds, notably fieldfares. Leaves are eaten by the larva of the coastal race of the ash pug moth and by larvae of other Lepidoptera including brown-tail, dun-bar, emperor moth, mottled umber and Coleophora elaeagnisella. 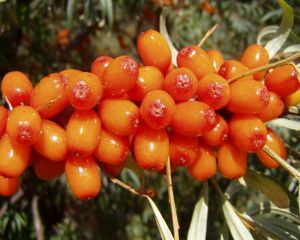 Hippophae salicifolia (willow-leaved Sea buckthorn) is restricted to the Himalaya, to the south of the common Sea buckthorn, growing at high altitudes in dry valleys; it differs from H. rhamnoides in broader (to 10 mm broad), greener (less silvery) leaves, and yellow berries. A wild variant occurs in the same area, but at even higher altitudes in the alpine zone. It is a low shrub not growing taller than 1 m with small leaves 1-3 cm long. Harvesting is difficult due to the dense thorn arrangement among the berries on each branch. A common harvesting technique is to remove an entire branch, though this is destructive to the shrub and reduces future harvests. A branch removed in this way is next frozen, allowing the berries to be easily shaken off. The branches are cut, deep frozen to −32°C, then shaken or abraded for removal of the berries. The worker then crushes the berries to remove up to 95% of the leaves and other debris. This causes the berries to melt slightly from the surface as the work takes place at ambient temperature (about 20°C). Berries or the crushed pulp are later frozen for storage. The most effective way to harvest berries and not damage branches is by using a berry-shaker. Mechanical harvesting leaves up to 50% in the field and the berries can be harvested only once in two years. They only get about 25% of the yield that could be harvested with this relatively new machinery. During the Cold War, Russian and East German horticulturists developed new varieties with greater nutritional value, larger berries, different ripening months and a branch that is easier to harvest. Over the past 20 years, experimental crops have been grown in the United States, one in Nevada and one in Arizona, and in several provinces of Canada. 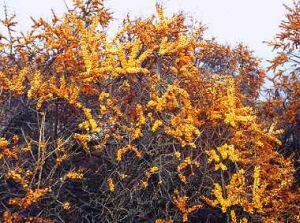 Sea buckthorn is also a popular garden and landscaping shrub, particularly making a good vandal-proof barrier hedge with an aggressive basal shoot system exploited in some parts of the world as wind breaks and to stabilize riverbanks and steep slopes. They have value in northern climates for their landscape qualities, as the colorful berry clusters are retained through winter. Branches may be used by florists for designing ornaments. The plant is the regional flora of the Finnish region of Satakunta. Sea buckthorn berries are multipurposed, edible and nutritious, though very acidic and astringent, unpleasant to eat raw, unless 'bletted' (frosted to reduce the astringency) and/or mixed as a juice with sweeter substances such as apple or grape juice. When the berries are pressed, the resulting Sea buckthorn oil separates into three layers: on top is a thick, orange cream; in the middle, a layer containing Sea buckthorn's characteristic high content of saturated and polyunsaturated fats; and the bottom layer is sediment and juice. Containing fat sources applicable for cosmetic purposes, the upper two layers can be processed for skin creams and liniments, whereas the bottom layer can be used for edible products like syrup. One of the most beneficial products from these berries is Sea Buckthorn Oil. Nutrient and phytochemical constituents of Sea buckthorn berries have potential value as antioxidants that may affect inflammatory disorders, cancer or other diseases. The fruit of the plant has a high vitamin C content—in a range of 114 to 1550 mg per 100 grams with an average content (695 mg per 100 grams) about 12 times greater than Oranges— placing Sea buckthorn fruit among the most enriched plant sources of vitamin C. The fruit also contains dense contents of carotenoids, vitamin E, amino acids, dietary minerals, β-sitosterol and polyphenolic acids. Apart from being nourishing, the juice has a freezing point of −22 degrees Celsius allowing it to remain a liquid even in sub-zero temperatures. Seabuckthorn Oil has been used as traditional therapy for diseases. 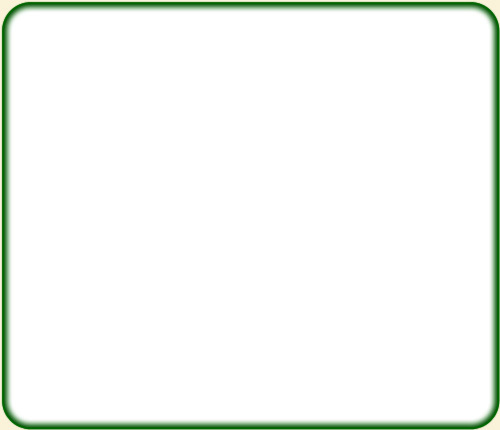 As no applications discussed in this section have been verified by Western science and sufficient clinical trial evidence, such knowledge remains mostly unreferenced outside of Asia and is communicated mainly from person to person. Grown widely throughout its native China and other mainland regions of Asia, Sea buckthorn is an herbal medicine used over centuries to relieve cough, aid digestion, invigorate blood circulation and alleviate pain. In Mongolia, extracts of Sea buckthorn branches and leaves are used to treat gastrointestinal distress in humans and animals. Bark and leaves are used for treating diarrhea and gastrointestinal and dermatologic disorders. Topical compressions are used for rheumatoid arthritis. Flowers may be used as a skin softener. For its hemostatic and anti-inﬂammatory effects, berry fruits are added to medications for pulmonary, gastrointestinal, cardiac, blood and metabolic disorders in Indian, Chinese and Tibetan medicines. Sea buckthorn berry components have potential anticarcinogenic activity. Fresh juice, syrup and berry or seed oils are used for colds, fever, exhaustion, as an analgesic or treatment for stomach ulcers, cancer, and metabolic disorders. Called 'Chharma' in some native languages, oil from fruits and seeds is used for liver diseases, inﬂammation, disorders of the gastrointestinal system, including peptic ulcers and gastritis, eczema, canker sores and other ulcerative disorders of mucosal tissues, wounds, inﬂammation, burns, frostbite, psoriasis, rosacea, lupus erythematosus, and chronic dermatoses. In ophthalmology, berry extracts have been used for keratosis, trachoma, eyelid injuries and conjunctivitis. The Sea buckthorn oil is also known to kill tiny parasitic mites called Demodex. Due to its unique botanical and nutritional properties, and there being no reported evidence of Sea buckthorn oil causing adverse reactions or negative side effects, the oil is also used as a natural agent that may benefit diseases of mucous membranes, including Aphthous ulcers, esophagitis, acid reflux, and peptic ulcers, as well as dermatological diseases and skin conditions. In Russia and China, pulp oil may also be used topically to treat skin burns from radiation. Due to its ability to absorb ultraviolet rays, pulp oil is purported to reduce risk of radiation burns for Russian astronauts working in space. Buy 3 Siberian Pine Nut Oil enriched with Sea Buckthorn berry and get 1 FREE! Buy 3 "Pine Power" Cedar Nut Flakes and get one FREE! Special: Buy 3 Siberian Pine Nut Oil enriched with Sea Buckthorn berry and get one FREE! PROMOTION: Buy 3 0.5lb Bags of Pine Nuts and Get 1 FREE!